With a population of just 329,000 (barely more than Nottingham), Iceland is the most thinly-populated country in Europe, and 80% of it is uninhabited. Despite this, in the 1100 years since humans first settled there, the Icelanders have built a remarkably resourceful, diverse and robust community – and they have never had to go to war. In fact, in 2013 the United Nations ranked Iceland the 13th most developed country in the world. Professor Gisli Thorsteinsson is Professor of Education in Reykjavik, while Dr David Whittaker is a retired academic specializing in geopolitics. 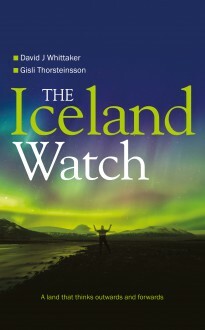 The two authors have written this book to record and explain Iceland’s history and its many achievements and to introduce readers who may not be familiar with the country to the range and vitality of Icelandic thinking and achievement.